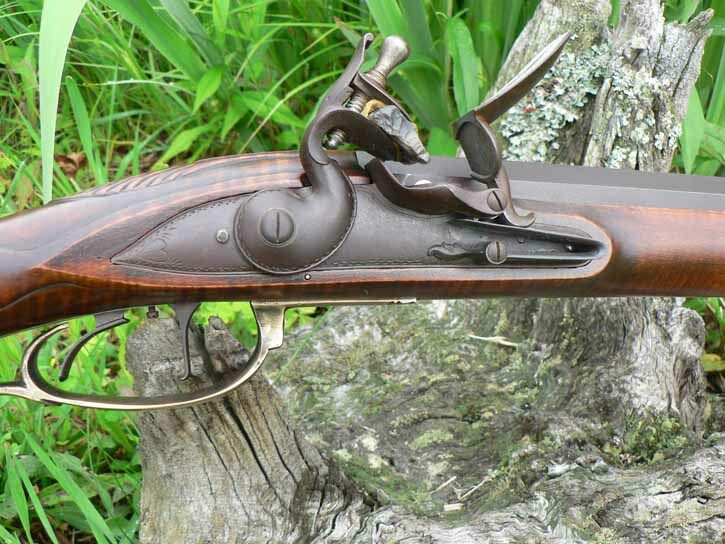 The cosmetics of this rifle are patterned after the famous Klette rifle of Sevensburg, VA shown in Rifles of Colonial America, p. 534, #123. 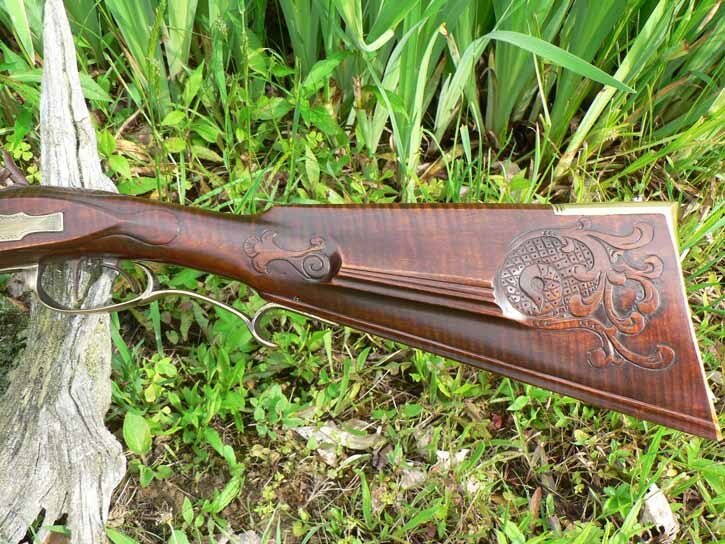 The rifle was originally built for a client who stepped away from the project. 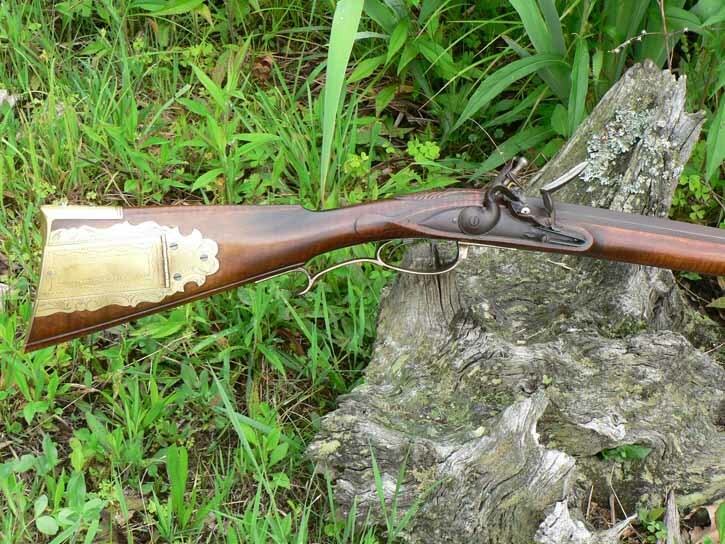 The gun was ordered with the 62 caliber barrel, Virginia lock, and double set triggers, which differ from the original. The rifle has a 62 caliber, 42” long Colerain barrel, a Jim Chambers Virginia lock which is activated by Davis double-set triggers. The stock is a nice piece of closely-striped curly maple which has been done in an antique finish to reflect the look of a fine original. All carving of the original Klette is exactly duplicated. The metal is richly browned. 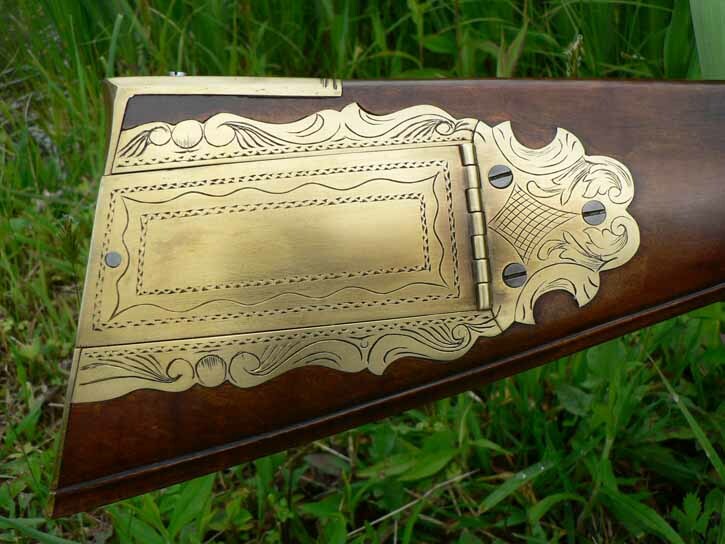 The brass hardware is engraved as on the original and lightly antiqued. 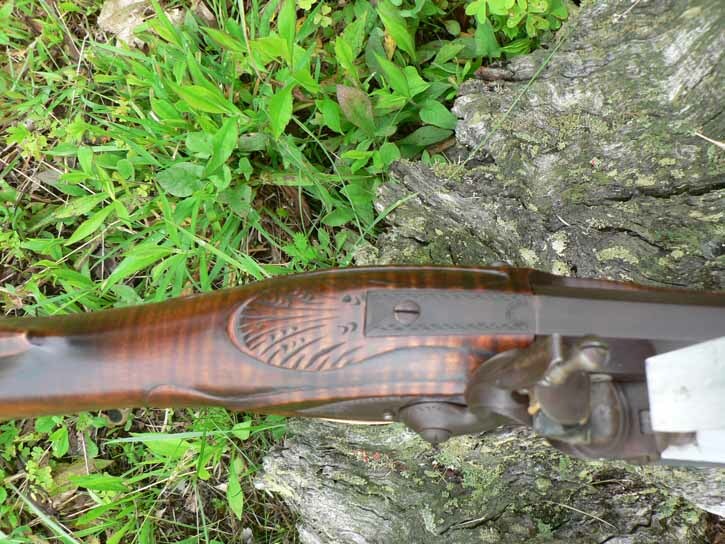 This large caliber gun weighs in at a modest 8 ¾ pounds and is a joy to handle and shoot.